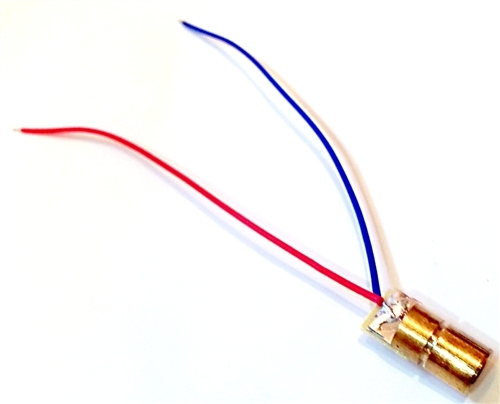 Class IIIA Red laser head diode for electronics and other projects. 5mW, 650nm output requires 3-5V DC input. 6mm Body diameter with two colored leads.